ABOUT: A vast majority of our 2.2 million graduates find themselves at sea once they exit their colleges since most of our college education only partially equips them for jobs. ABOUT: A vast majority of our 2.2 million graduates find themselves at sea once they exit their colleges since most of our college education only partially equips them for jobs. This scale of unemployment - and the need to prevent them from straying into anti-social activities - is one of the biggest challenges of our society. How should India go about making its graduates and working population job worthy for the next 25 years? 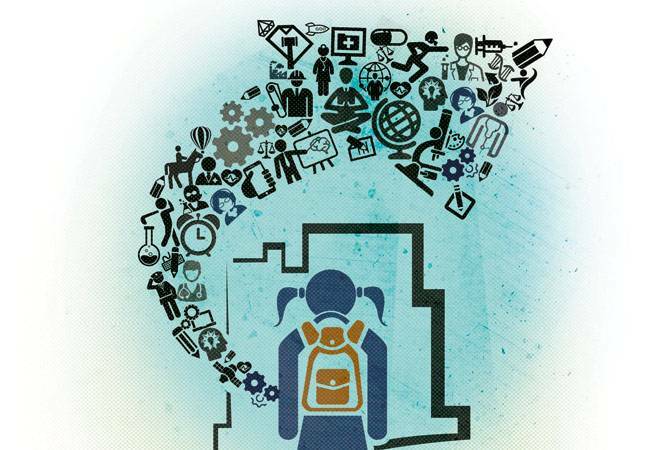 Sanjeev Duggal, CEO & Director, Centum Learning, a skilling company with presence in 21 countries, writes on how to change India's skills landscape. When she got married, Rajni Bala's dreams were similar to those of most young women of her background - having a contented married life with a loving husband and children. Reality, however, turned out to be very different. She had to live with her in-laws, who proved tyrannical, while her husband was a drunk, who hardly provided for her two children. She finally left, along with the children, returning to stay with her widowed mother. She is still locked in a legal tussle with her husband and in-laws. But with hardly any education, what would she do for a living? She heard about a learning/training centre in her area and enrolled in it for a 12-day intensive course in retail operations. She has since been hired as a cashier at a branch of a leading global retail store. She proudly points to a badge she wears next to her ID card. "I won it for my performance," she says. "I have been able to establish myself and support my two children, because of this opportunity I got." Hailing from a small village in Morigaon district of Assam, Amar Jyoti joined a 45-day skilling course to get some kind of employment. His trainers at the centre were so impressed by his zeal that, on completion of the course, they offered him a trainer's job at the centre itself. After two years, he is now a senior trainer in charge of two centres. "I'm proud to be able to bring about the same change in other people's lives that the skilling centre did in mine," he says. "I'm proud to have lifted several BPL families out of poverty by imparting skills to their members." Jagir Kaur, a daughter of poor parents, felt guilty when she failed to get a job after clearing her Class XII board exams. The fact that her elder brother, in her family of six, was also unemployed, made matters worse. Finally, she left her village for a nearby town where she underwent a skilling course in looking after wholesale stores, which soon landed her a job. Jagir smiles often, a smile of pride. "I'm the first girl in my family to have moved out of home and become self-reliant," she says. "I manage my expenses and support my family, too." The glass, half-empty or half-full - depending on one's perception - is the best metaphor to describe the skilling scenario in India. Much has been done, but much remains to be done. Less than two per cent of our workforce has formal skills. The glass, half-empty or half-full - depending on one's perception - is the best metaphor to describe the skilling scenario in India. Much has been done, but much also remains to be done. The staggering statistics are well known - out of India's 1.25 billion population, 54 per cent are below 25 years of age and 65 per cent below 35 years. India has the world's largest workforce after China. But unlike China's ageing population, most of India's workforce - growing by 14-16 million every year - will still be employable 25 years from now. The tragedy is that less than two per cent of the workforce has formal skills. Even among those with some sort of training or qualification, only a third has employable skills. Successive governments at the Centre have created multiple agencies and programmes and heaped ample funds on them to address the challenge of skilling India. There is the National Skill Development Corporation (NSDC), which has set itself an ambitious - some even say, unrealistic - target of skilling 150 million by 2022. There is the National Skill Development Agency (NSDA), which anchors and implements the National Skills Qualification Frame- work, engaging with states to dovetail the states' skilling facilities and schemes with those of the Centre. A decade ago, the Kerala government funded a statewide network of self-financing "Akshaya e-kendras" to impart basic computer skills to one member of every family. What did the young entrepreneurs who set up these e-kendras do, once the target groups in every district had been trained, and government subsidies had dried up? After a few hard knocks, the vast majority have reinvented themselves and are running small but profitable businesses today - catering to local needs and shortages in areas like PAN card and passport applications, transfer of funds, payment windows for civic taxes, college admissions, job search and applications, etc. The Kerala model is a splendid example of spontaneous skill-building. There is still an obvious shortage of skills. 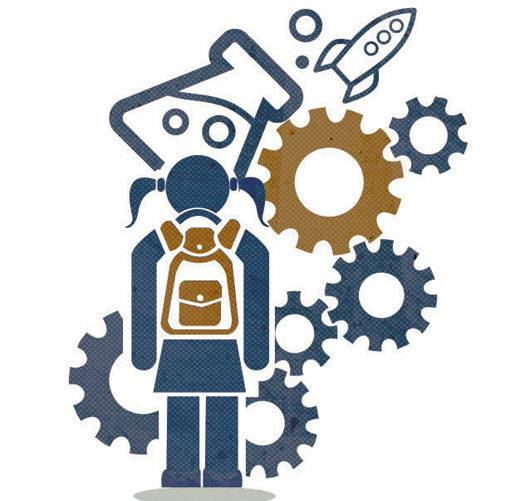 The perception of many parents that their children must go into engineering or medicine - a hangover of the 1960s and 1970s mindset - has hamstrung efforts at skill building at its most important stage: in school. After 30 years in training and skill development, I'm also convinced that partnering large and credible training partners is critical to attaining both quality and scale. Of the 211 affiliated training partners of NSDC, the top three contribute 31.01 per cent of the skilling (as per NSDC's 2014/15 annual report). The government needs to engage with these and others that have a track record in skilling. The objective is skill-building and not doling out patronage to all kinds of "Mom and Pop skilling shops". Skilling India to compete and excel on a global maidan is a multi-pronged challenge. We need our engineers and doctors and business executives. We need a rainbow of other heterogeneous skills. And sometimes we discover in ourselves skills and talents for which we were not trained, but which constitute a coming together of head and heart. To take a personal example, my elder son studied film-making, while the younger one underwent courses to become a chef. Today, both of them are entrepreneurs running a very successful "gourmet catering and food experience" venture. They started as mainstream graduates, then decided to follow their dream and carved out the vocation of their choice. As parents, let us encourage the creative outreaches of our children, by supporting them when they make career decisions driven by enthusiasm rather than societal pressure. What's the roadmap to the next White Revolution?